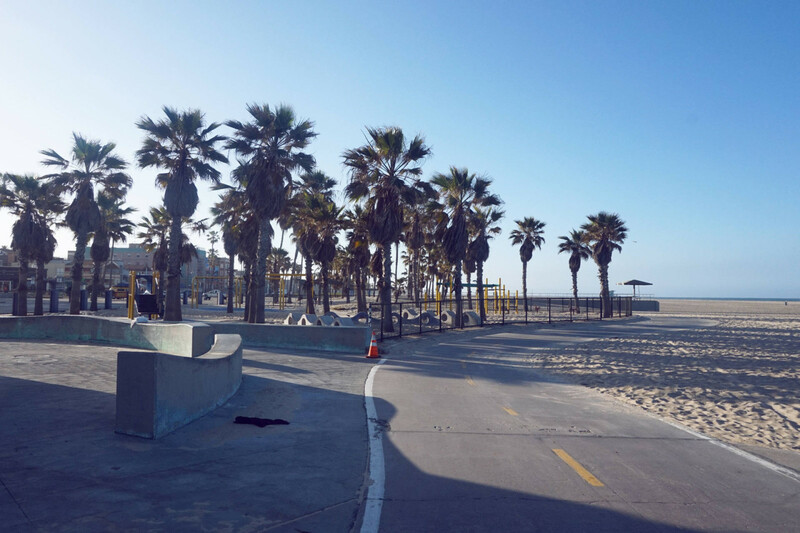 Is Santa Monica worth visiting? I remember my early trips to Los Angeles and hearing about some great spots in the area but dreading the drive. You know, like how some folks who live in Manhattan can’t be bothered to cross the bridge over to Brooklyn? Well, Santa Monica was the Brooklyn to my LA. 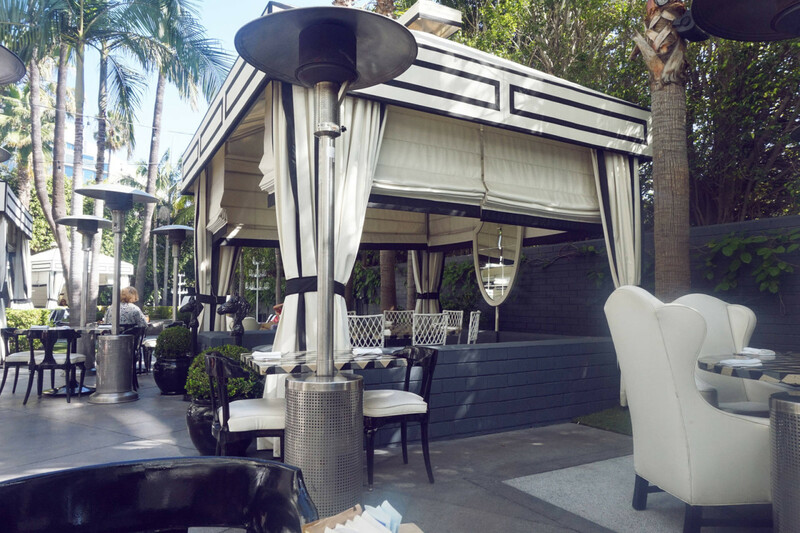 Fast forward last week when Visit California invited me to stay at The Viceroy Santa Monica, I thought, why not? I was in for a pleasant surprise when I landed and headed to the hotel. 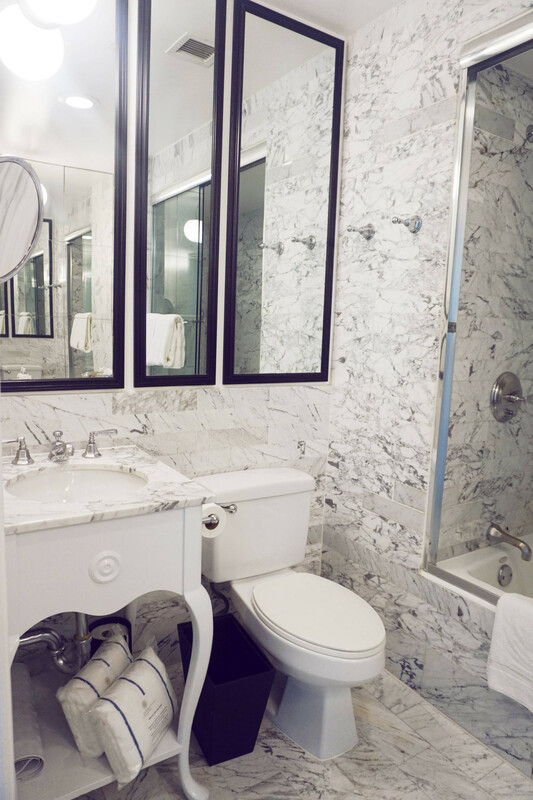 Talk about a gorgeous hotel with amazing service and pretty interiors. 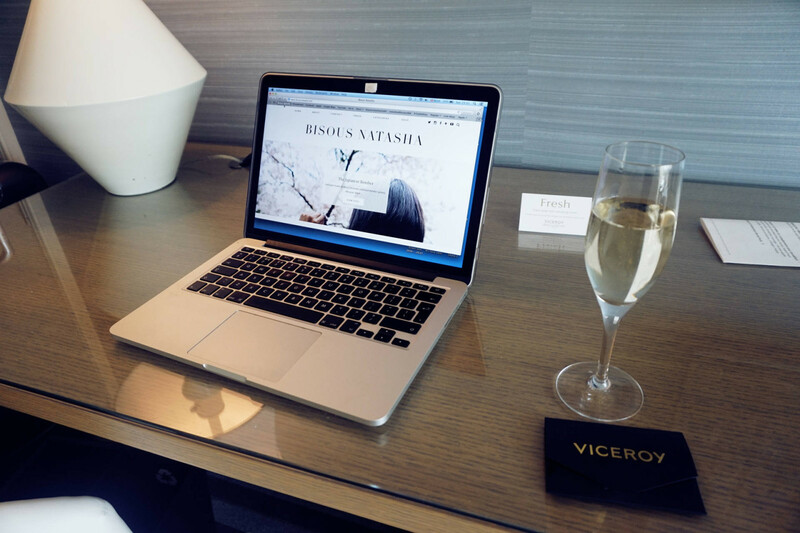 During check in, I was offered a glass of bubbly and made my way up to my room to settle in and take in my surroundings. This cozy bed would be my home for the next four nights. 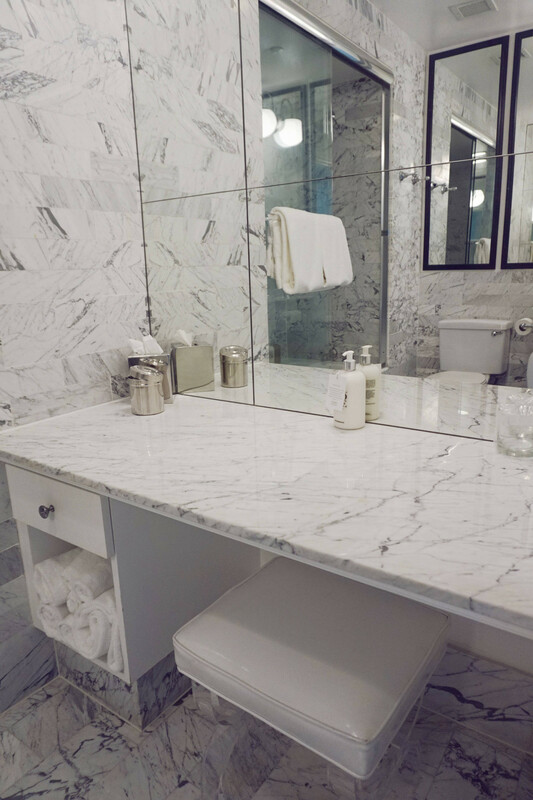 Just look at the mirrored wall ! 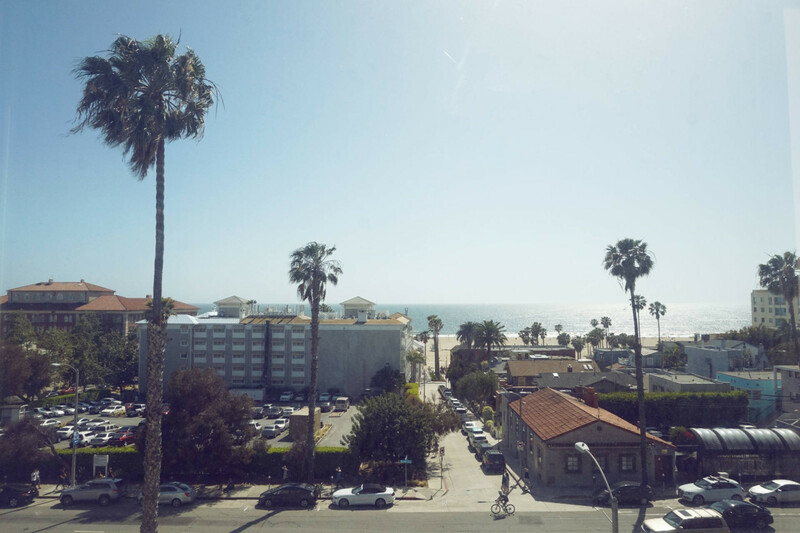 This was my lovely view of the water from room 524 at The Viceroy Santa Monica. 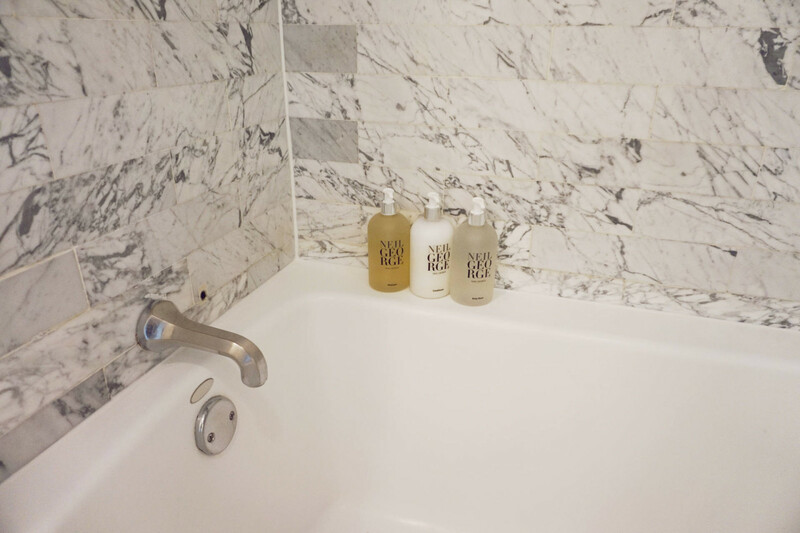 If there is one bonus to staying here, especially for bloggers, it would be the floor-to-ceiling marble in the bathroom and hallway. Imagine the flat lays you could do on the floor and counters? 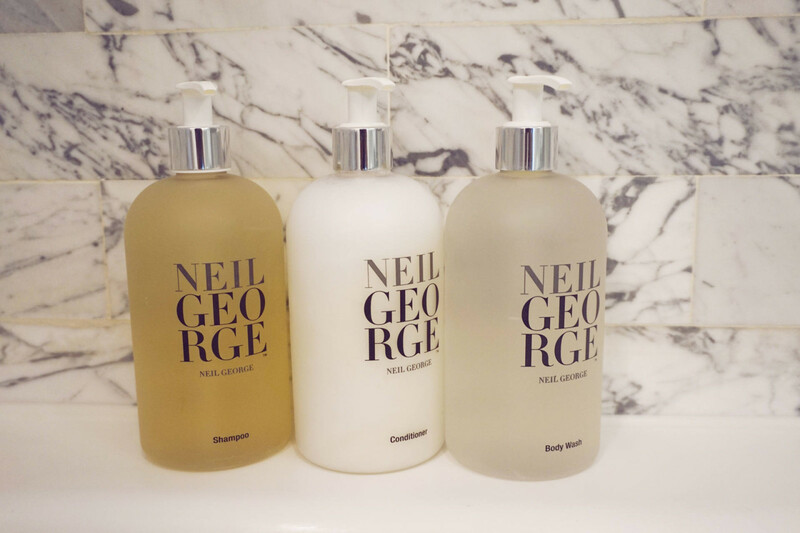 Bathroom goals ! 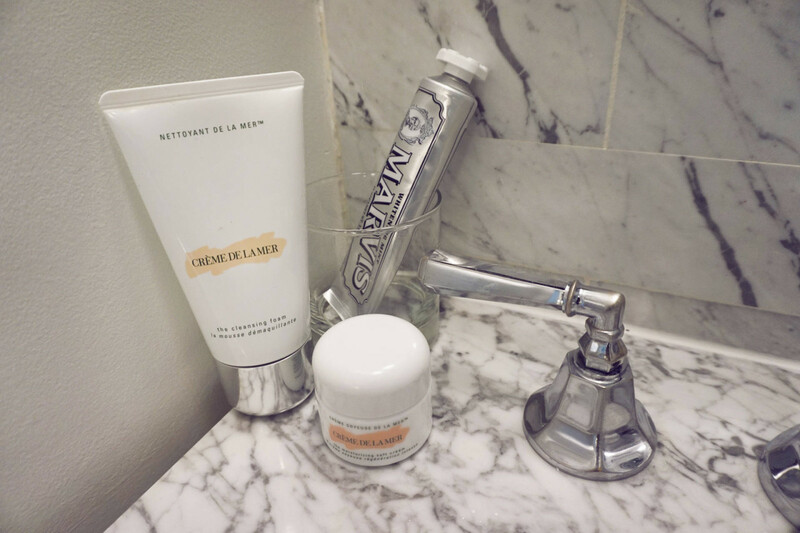 I popped my Marvis toothpaste neatly in the corner, along with my Creme de la Mer face wash and moisturiser. 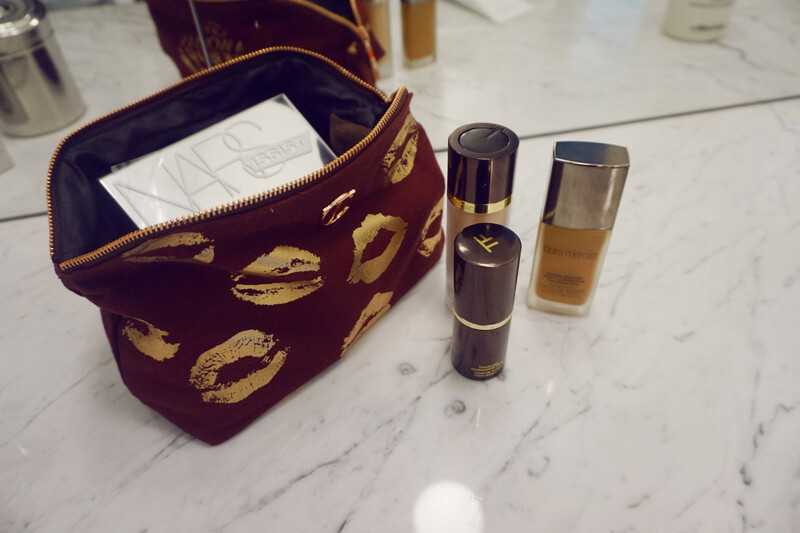 And neatly lay out my favourite primer and foundations from Tom Ford and Laura Mercier. 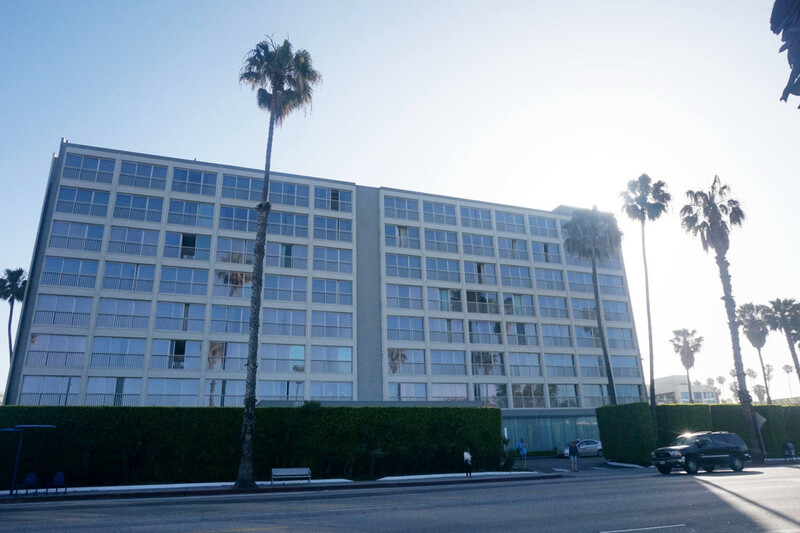 The hotel’s location near Santa Monica Pier is ideal for taking long walks along the beach (yeah, I said it) and running. Thanks to jet lag, I was up at 6:30am the first few days, enjoying a run along the beach with other early birds. 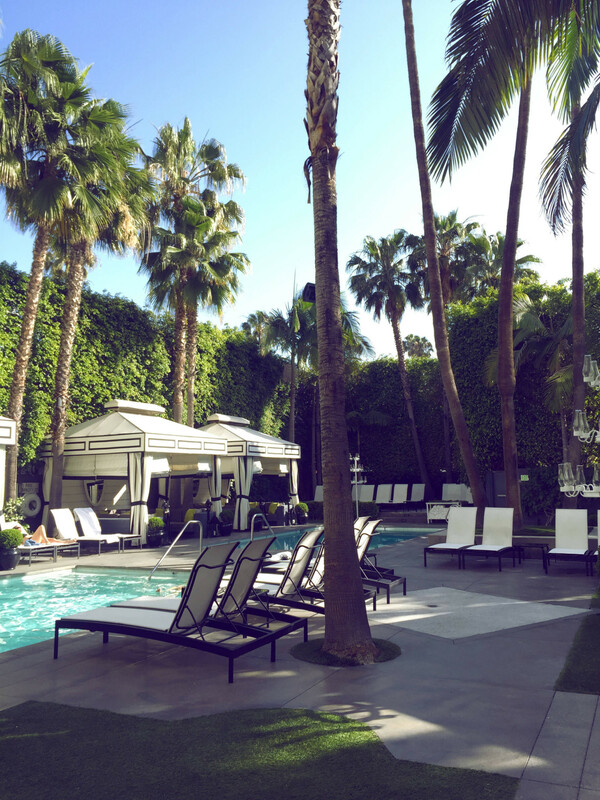 If the ocean is not really your thing, how about spending time by the hotel’s pool, under the gorgeous palm trees? After the marble-tiled bathrooms, the pool area was my second favourite aspect of the hotel. 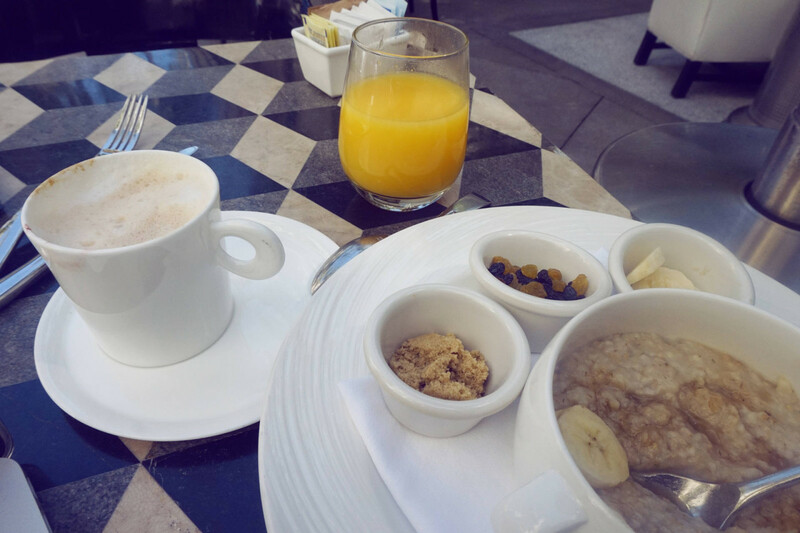 Perfect for having breakfast outdoors, before heading into the city for meetings, I used the quiet time to catch up on emails and eat a delicious serving of their oatmeal breakfast with orange juice and a cappuccino. Towards the end of my stay, I made use of the pool and cabana area to relax and take a dip in the water wearing my new crochet bikini. 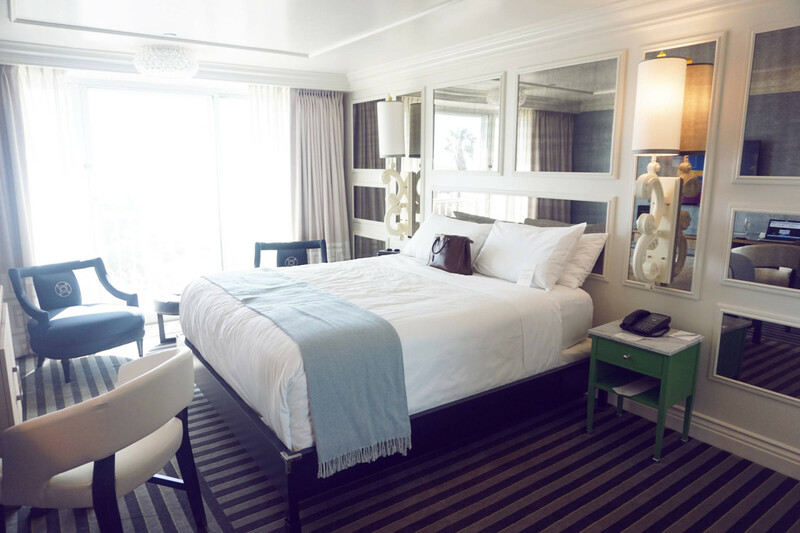 Book a room at The Viceroy Santa Monica. 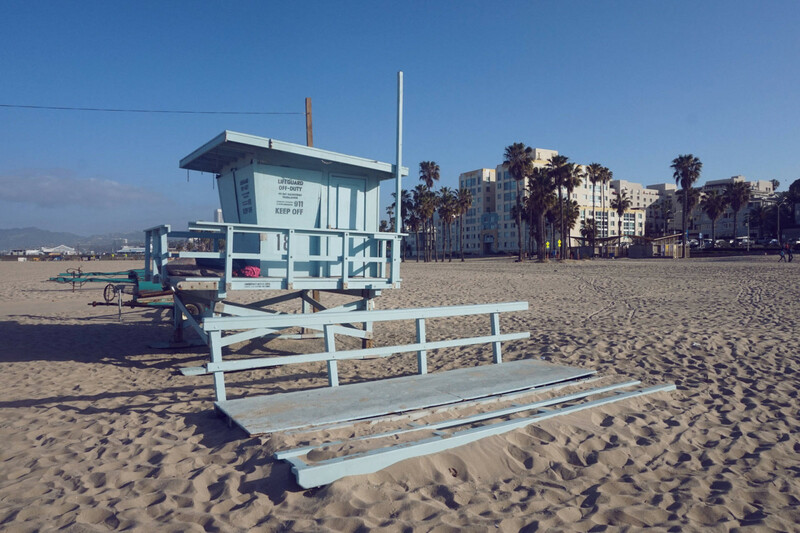 Check out other destinations on Visit California.